Do you remember those Choose Your Own Adventure books? Where the story kept stopping to ask the reader how they would proceed? Well, this Girl’s Black Crown is a little bit like those books. Hear us out. This dark accessory lets your little girl exercise her imagination. Maybe this crown proves a new and different twist to top off a red princess gown. Or perhaps she can become a specific character while wearing it, such as the Queen of Hearts. Or maybe she’s feeling ominous and wishes to be an evil fairytale queen. Or she’s your witch queen. 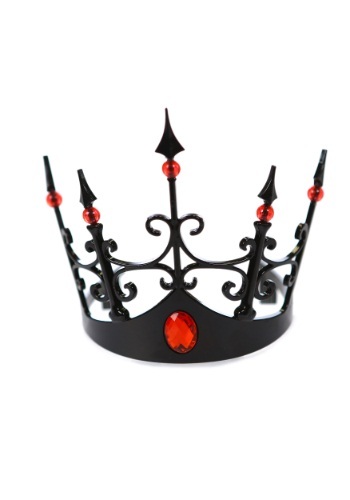 The beauty is, with a bold, bedazzled headpiece like this one, your little one can choose just how the story of her Halloween will end!